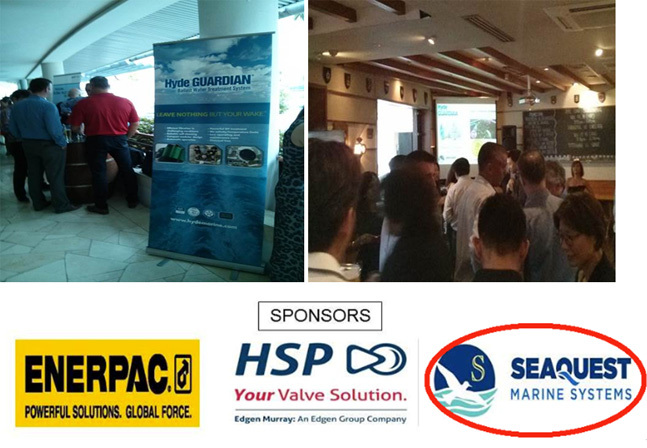 Seaquest Marine Systems Pte Ltd is proud to have been a Sponsor for FPSO Friday on 7th November 2014 at the Republic of Singapore Yacht Club. Organised by professionals with more than 30 years of experience in subsea, topsides etc, FPSO is the quintessential networking event for the Offshore industry. With attendees from multiple facets of the offshore and subsea industry, the event promoted sharing of knowledge and building new contacts. The Seaquest presentation included its partners such as Hyde Marine, Indel B, Clean Marine, Tecno, Clean Marine, Hedon and Acusafe as well as all our products and range of services.